It’s challenging to monitor our vast ocean for environmentally damaging activities. 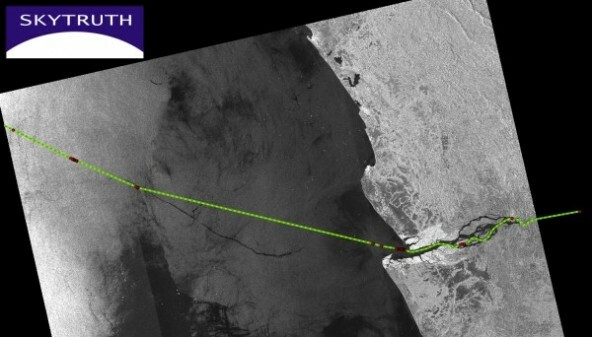 Remote sensing and other satellite technologies make it possible for us to cover large areas so we can spot oil spills, bilge dumps, and illegal fishing activity far out at sea. Global Fishing Watch, a partnership of SkyTruth, Oceana and Google, is using satellite-collected vessel identification broadcasts to map all of the trackable commercial fishing activity in the ocean. This work is designed to help bring sustainability to the way we manage wild-catch fisheries, by giving scientists new ways to directly measure fishing effort; showing governments new possibilities for policy and regulation based on better science; and giving fishing vessel operators a way to show the world they’re sticking to those rules. Our Gulf Oil Spill Tracker has been used by dozens of concerned citizens and government officials who have submitted hundreds of reports to help document the impacts of oil pollution in the Gulf region that might otherwise be overlooked. The Gulf Monitoring Consortium is a partnership we formed in the wake of the BP / Deepwater Horizon oil spill to collaboratively investigate and publicize the chronic pollution that accompanies offshore oil and gas development. And we continually work to keep abreast of new satellite technologies that offer possibilities for cost-effective monitoring by specialists and citizens alike. Above, the possible route of Bahamian refrigerated cargo ship the Dona Liberta, traced in green over a radar satellite image that detected a 92 mile bilge-dump (black streak in the water south of the vessel path) into the waters off Angola in 2012. Learn how we figured this out here.